Former Blue Jays GM Gord Ash remembers the young pitcher who grew up into a superstar. It didn't take long for Roy Halladay to make an impression when he got a chance to pitch at the big-league level. His second start in the major leagues came in Toronto's 1998 regular-season finale against the visiting Detroit Tigers. Halladay was masterful in a complete-game 2-1 victory, a pinch-hit solo shot by Bobby Higginson ending Halladay's no-hit bid with two outs in the ninth inning. "Obviously he had done well in the minor leagues," said former Blue Jays general manager Gord Ash. "But I think the fact that he had such physical ability and then to see it first-hand at the major-league level, your excitement and your expectations just grew." Halladay, who went on to become a two-time Cy Young Award winner, died Tuesday when his private plane crashed into the Gulf of Mexico. He was 40. The six-foot-six right-hander spent parts of 12 seasons with Toronto and was a face of the franchise for most of his time with the Blue Jays. Halladay was traded to Philadelphia in late 2009 and played four seasons with the Phillies before retiring. 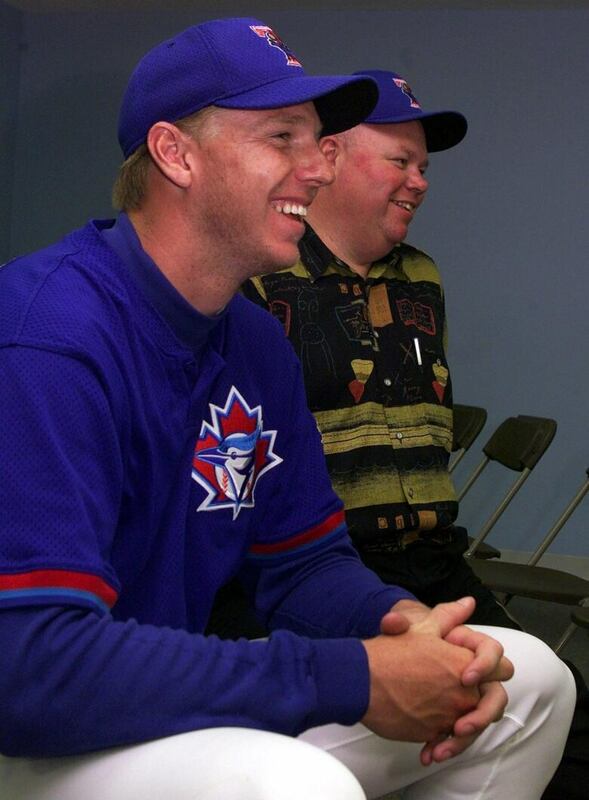 Ash, who was GM when Toronto selected Halladay in the first round of the 1995 amateur draft, said he was shocked and devastated to hear the news of his passing. "He'll be remembered as a superstar as he should be," Ash said. "He'll be remembered for his tenacity, which he should be. He was a guy who gave a lot to the community as well." Halladay became a regular on the Toronto pitching staff in 1999 but hitters soon adjusted to his over-the-top delivery. He had stints in the minor leagues in 2000 and 2001 to rebuild his delivery and his confidence. "He did a very good job with that process and then obviously the next 10 years or so, he was about the best there was in the game," Ash said. Halladay was not a rah-rah guy in the locker-room, Ash said, but rather a player who led by example. If he was making a start, he wanted to go the distance every time. "He didn't want to come out of the game," Ash said. "He wanted to stay right until the end in kind of an old-school approach to starting pitching. That was just another mark of his intensity." Major League Baseball Players Association executive director Tony Clark issued a statement Tuesday after Halladay's passing. "Our hearts are broken," Clark said. "Roy Halladay was not just one of the greatest competitors, but was also among the best men in our generation of players. Our paths crossed many times during our careers and I can tell you he was among the toughest pitchers I ever faced. "But while he never gave in on the mound, he was known in both leagues as an outstanding teammate, a guy who would go out of his way to help other players. Our prayers go out to his wife Brandy and their children Ryan and Braden." 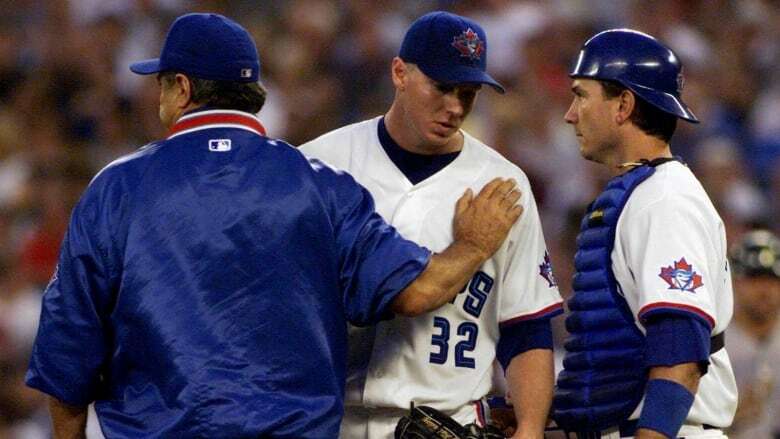 Halladay posted a 148-76 record with a 3.43 earned-run average during his time with the Blue Jays. He was just as strong during his run in Philadelphia with a 55-29 mark and 3.25 ERA. Ash noted that Halladay was a private guy and a family man, a player who didn't look for the limelight but was a "great competitor." "He was a very sincere guy, a very intense guy," Ash said. "He had strong beliefs and routines and he pretty much kept to those. He wasn't a guy that you were ever going to find in any kind of controversy or any kind of trouble." Halladay signed a one-day free agent contract with Toronto to retire as a Blue Jay in late 2013. "Whenever Roy was starting a ball game, it was always a good day," Ash said.